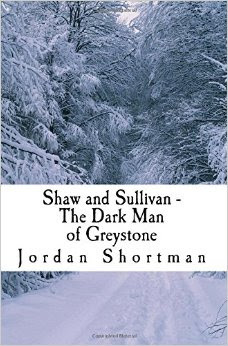 My first novel: Shaw and Sullivan - The Dark Man of Greystone is still available! My first novel, released on September 12th 2015, is still available to buy in either paperback or kindle format. The snowy depths of the Scottish Highlands hold a dark secret. Something ancient and evil is stirring. Sent to investigate, paranormal investigators, Shaw and Sullivan delve into their new case but what they discover is happening is far more sinister and disturbing than either of them could have ever imagined. The book is self published through the Amazon company Createspace and retails in paperback at £7.99 and on Kindle at £1.99!